Titanium Grade 9 Plate manufacturer, ASTM B265 Gr9 Plate, CP Grade 9 Titanium Plate, Grade 9 Titanium Perforated Plate, ASTM B265 Titanium Plate, Titanium Grade 9 2B Plate, Titanium Gr9 2D Plate, Titanium Grade 9 Perforated Plate, Titanium Grade 9 Flat Plate, manufacturer, Suppliers, Exporters, Mumbai, India. They are used for several applications such as in Aerospace, Marine, Chemical Processing, Medical, Consumer applications, Transportation, and so on. Also known as UNS R56320 Bars, our Titanium Alloy Grade 9 Plates are accessible to our valuable customers in different range of diameters, wall thicknesses and sizes in customized form and also at quite affordable rates. 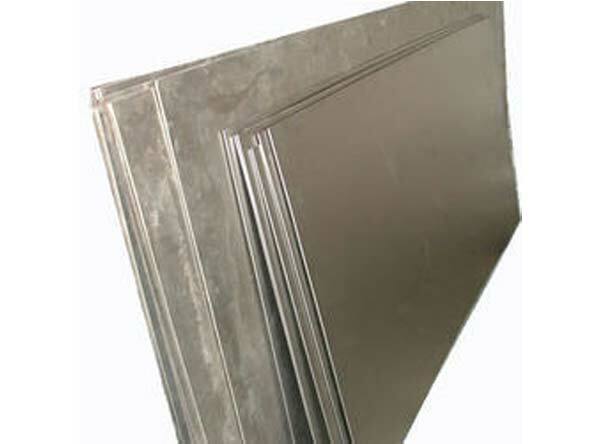 Titanium Grade 9 Plates has medium strength that falls between Grade 4 and Grade 5. It has excellent corrosion resistance and is used in Aerospace and Industrial applications. Grade 9 Titanium can be used at higher temperatures than Grades 1 through 4. Grade 9 titanium has good cold rolling properties.